SR Windows & Glass offers window repair and window glass replacement that saves homeowners hundreds on repairing their windows. Broken windows can be repaired by replacing the glass that is inside the window frame. The window glass may be a dual pane or single pane unit. 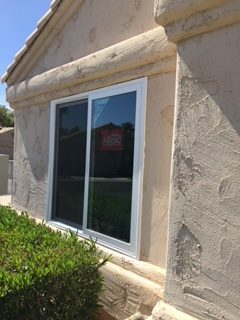 By replacing only the glass, it saves the homeowner money because the frame does not have to be removed and the wall or stucco finishing can remain in tact. A single pane glass window can be measured and cut onsite. After cutting, the broken glass is removed and the new glass is installed. A dual pane glass unit (insulated glass unit or IGU) must be properly measured by a glazier and custom fabricated to fit the window frame. The type of glass, thickness of glass and gap between glass panes should be matched to the original window specifications. The same is true for a window seal failure in a dual pane window whereby the gasket that seals the two panes of glass together fails. The insulated glass unit should be replaced rather than removing the frame. If you look out your window one day and notice it’s extremely foggy, you can be certain there is some form of seal failure. A broken window or seal failure can do more than just bring down the appeal of your home. It can cause it to be subject to the weather and significantly reduce your home’s ability to remain insulated. Not to mention you might see insects or mold. Thankfully, it’s easy to contact a professional window contractor like SR Windows & Glass who can replace your window glass and restore the integrity of your window. Depending on the type of window and how the glass fits into the frame, a glazier must have knowledge of removal of the broken glass and the best way to reliably install the new glass unit. Chipped or broken glass windows are repairs that should be done as soon as possible. If your window seal has broken on your double pane windows, that means all of the Argon gas has escaped and it cannot be added back. Once your window has lost its insulating value it has to be replaced. The best thing to do if you know you have chipped or broken glass is to contact a professional. 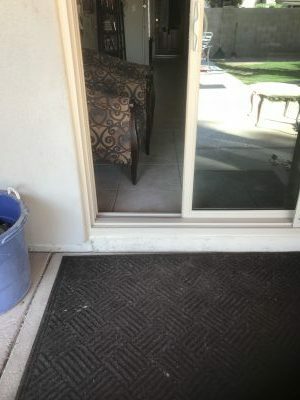 Depending on the way the glass has broken you may either just need glass removal and a new glass unit installed or you may need the entire frame removed. A professional will be able to assess the level of damage and determine what should be done next. Seal failure can be identified by using a piece of ice. Take an ice cube and place it on the window glass. If in fact there is a seal failure, you will see condensation form in between the dual panes of glass. If you are able to rub away the condensation from in between the glass panes, the seal is still good. If you are not able to rub off the condensation, this means that the seal has gone bad. The piece of ice creates a temperature differential on the window causing condensation, which is why this works. Regarding seal failure, you’ll likely need to replace the glass unit rather than remove the frame. This issue is identified by moisture build-up inside of the dual panes which comes from the outside. You may even be able to see droplets of water building up on the inside. Other incidents of seal failure can look like the entire window is foggy and opaque. Contact a pro to have your window repaired reliably, safely, and in a timely manner. Glaziers have knowledge and experience regarding the removal of broken glass. 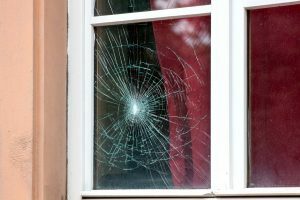 There are a number of obvious reasons why a glass window would break. One lesser-known reason why a window breaks is because of thermal stress. Thermal stress can be brought about by applying window film on the window. Applying window film is not the sole reason why I went to with break. For example, window film can increase the tension, putting pressure on the window by up to 3%. This is because of how the film allows the window to absorb heat. Not all windows are created equal. You may have a window that is designed to withstand additional pressure up to 20%. Glass can also break from tensile stress which is when the glass succumbs and breaks under its own weight. The wind is capable of breaking glass and this is known as mechanical flexing stress. Then there is twisting stress from the house settling and shifting over time. Lastly, there is impact stress where the glass breaks from sudden impact with a baseball for example. Window replacement is fairly quick and requires no effort on your part. On average, a window can be replaced in 30 minutes. A home window repair professional will take exact measurements of your window at your home in order to fit you with a new glass unit. If you have wooden windows, house window repair is even simpler. The installer will simply remove screws in order to remove the frame of the window. Vinyl and fiberglass windows are removed slightly differently but can still be removed by professional. More than likely a repair professional will leave the unit in place, replacing just the glass. A new window unit will contain a desiccant. This desiccant is very similar to what you would see in a new package of a vitamin. The desiccant is there to absorb the moisture. No matter what kind of residential window repair you need, we can get the job done. Call a professional at SR Windows & Glass who has a great deal of experience repairing and installing your particular type of window. You can have your windows repaired without reducing the aesthetic appeal that you originally had. For example, you’ll want the new window glass to match in color and shade along with the other windows. a professional will be able to accomplish this and much more.